In this modern era, we tend to take many things for granted, yet older homes built as late as the 1950s featured numerous innovations to make life a little easier. Most of these features are no longer necessary and some of these ideas may even surprise you. The following list contains just a few of the many features you might find in an old home which have become obsolete or fell out of favor. 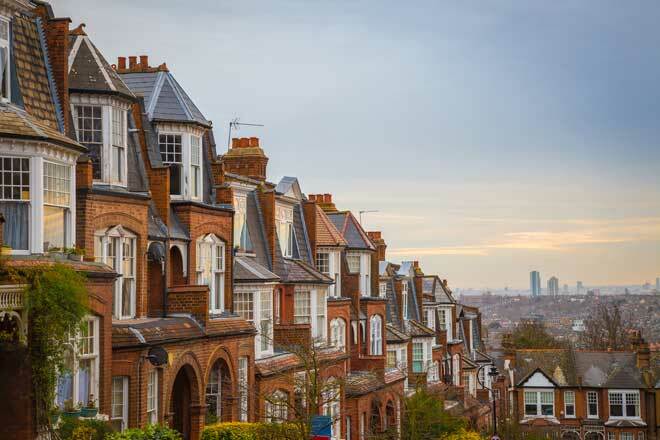 A few are regaining popularity among homeowners while others have been lost to time. At one point, coal was the primary fuel for home furnaces. A deliveryman would travel door to door and shovel coal into the chute. The coal would end up in the basement where homeowners could shovel it directly into the furnace. 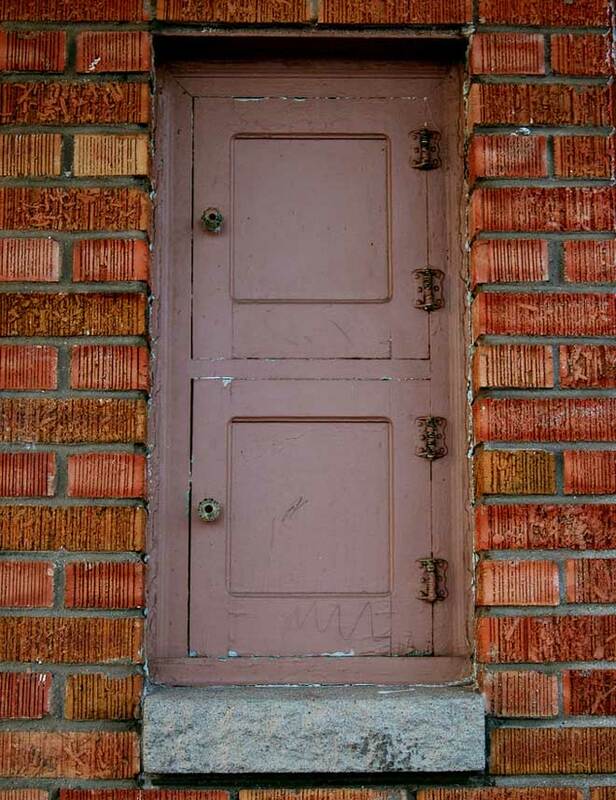 Although these chutes have mostly been sealed, you will often still see the iron chute doors on older homes where they now serve as little more than decoration. 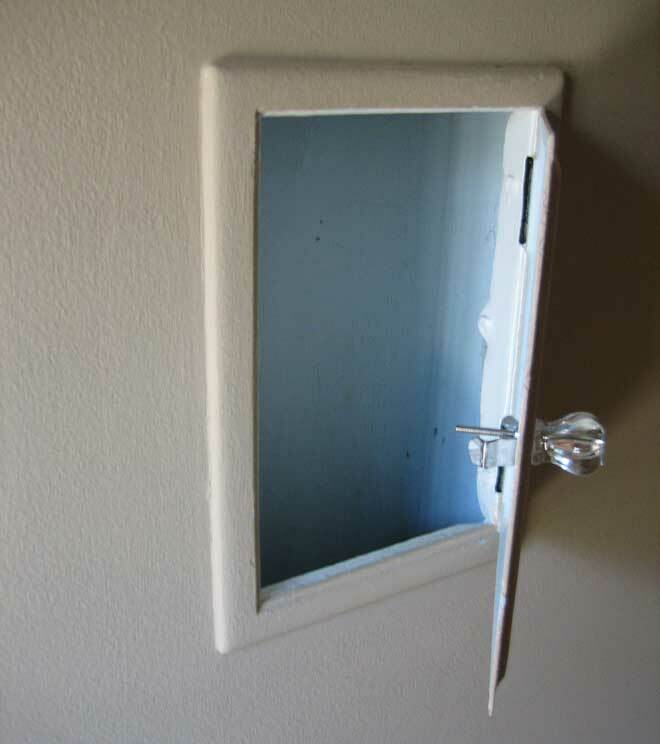 The bathrooms in older houses featured a built-in medicine cabinet which fit between two wall studs. Underneath the floor of the cabinet behind the wall was an enclosed space known as a “blade bank”. You disposed of your used razor blades by dropping them into a slot. Caches of used blades are still being discovered during bathroom renovations in these older homes. During the Second World War, external blade banks were sold to ensure that the metal could be recycled. This feature fell out of use with the advent of disposable safety razors. It may be difficult to imagine the sheer volume of mud that existed on a rainy day in the 1700s and 1800s, but the lack of paved roads led to filthy boots. In order to help keep your foyer clean, a cast iron boot scraper was located on the front stoop. A few modern homes have wooden or plastic versions equipped with brushes, but overall, this is a feature that has been nearly forgotten. Baking was once a common occurrence in homes. Pies, breads, and pastries were all baked fresh and trips to the local bakery were less frequent due to the higher cost. Unfortunately, cooling your fresh apple pie on a window sill left it vulnerable to birds and other scavengers, as well as the mercy of weather. As a means to make cooling easier, many homes featured a marble cooling shelf. Now that marble countertops are common and baking is rare, the need for these specialized cooling shelves has vanished. Still common in commercial buildings, dumbwaiters were a novel idea with a mixed reputation. Classic dumbwaiters were simply boxes inside a vertical wall shaft which were raised and lowered via rope and pulley. The most common use was for transporting food from the basement kitchen to the dining room or upstairs hallway. As they were often large enough for a small child to fit inside, dumbwaiters led to numerous accidental injuries and even deaths. The combination of safety concerns and relocation of kitchens to the first floor soon left these manual elevators boarded up or omitted from newer home designs. Modern fireplaces are generally decorative, but traditional fireplaces were essential and often found in every major room of the house. Of these, one of the most luxurious was the Rumford fireplace. This design featured a tall, shallow fire pit designed to reflect the majority of heat into the room. The advent of furnaces and central heating rendered most fireplaces obsolete and many were sealed. Ironically, many homeowners now consider a fireplace to be an asset, making this one of many popular restoration projects. Another disused innovation was the use of laundry chutes. Carrying the household’s laundry to the basement was a hassle, and usually fell upon one person to do. 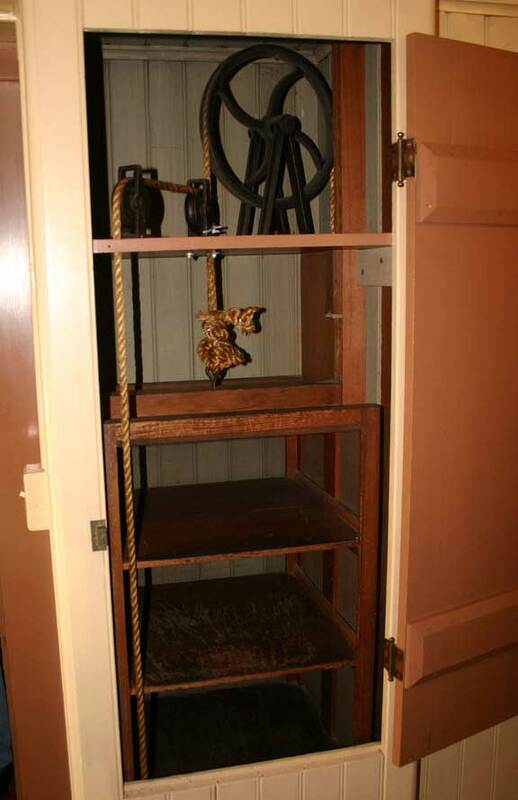 In homes which had a laundry chute, it often fell upon individual house members to throw their dirty items into the chute. The laundry would fall to the basement where a laundry cart or basket would be waiting to catch them. As households became smaller, the need for such conveniences faded, and even larger home designs began to omit them. Before the Great Depression, and for a time after, automobile technology wasn’t capable of supporting supermarkets. Instead, it was common for the local dairy to deliver milk to homes on a schedule. You would place your empty glass milk bottles on your porch or stoop and the milkman would replace them with full bottles. If you had a special order, you would simply leave a note in the neck of a bottle. As is the case with many things, people sought ways to make milk delivery more convenient. The result was the milk chute or door. Located either above the kitchen counter or at the landing for basement stairs, the milk chute was used for more than just milk. The “chute” was simply a box in the wall with an interior and exterior door. The deliveryman would place perishable items in through the external door and the family would retrieve them using the inner door. As milk chutes were large enough for a child to squeeze through and rarely insulated, they fell out of use once it became cheaper to buy your milk or eggs at the local market. Today, many chutes have either been bricked over or converted into mailboxes or other functional alternatives. Imagine trying to explain to your child that telephones once had to remain plugged into the wall and that they didn’t come with YouTube or even a way to dial your number. They would probably ask you what planet you came from. Yet long before Ma Bell split up into AT&T and Verizon, telephones were connected to switchboard operators. You simply lifted the earpiece off of its hook and told the operator what number you wanted to be connected to. The oldest home phones were wooden boxes that resembled payphones in size. They required winding a magneto generator to ring the bells on the answering party’s phone. 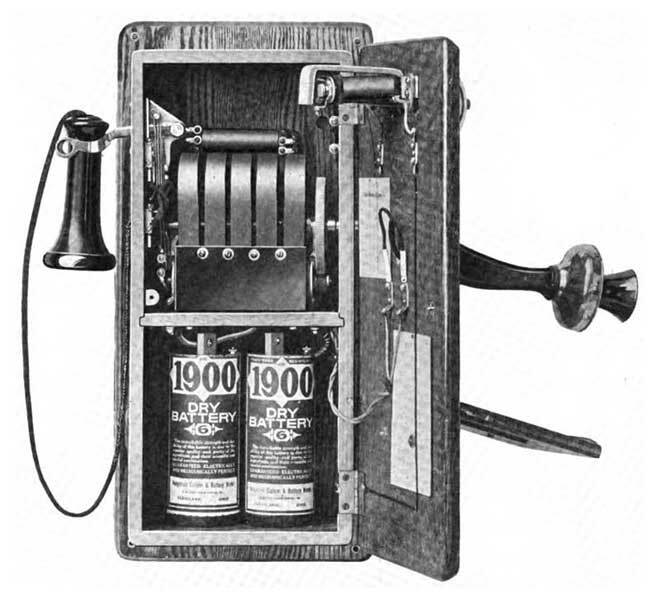 Internal batteries powered the actual calls, although battery technology meant these early phones took up a good deal of space. Architects began to include recesses in their designs to accommodate them. While smaller and more efficient models soon replaced the wooden box phones, these remained in use for several decades. Once it became possible to supply power externally, the candlestick phone quickly became one of the most popular and recognizable models of phone. When making a call, you could hold the phone in one hand and the earpiece in the other. In response to this new model, small wall-mounted shelves began cropping up in foyers specifically for holding a phone. 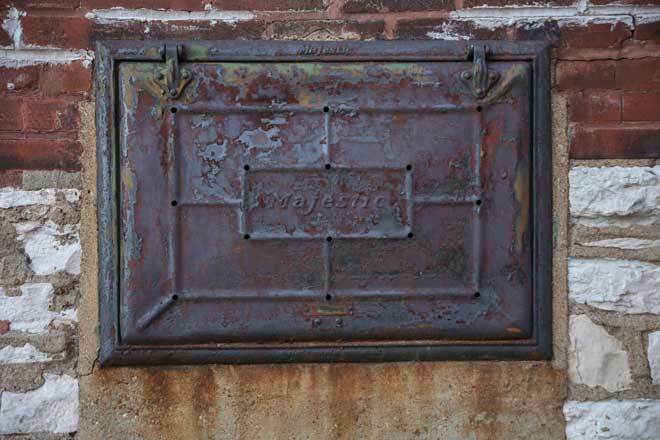 Many included a slot beneath for keeping important mail or a phone book. You have likely encountered steam radiators at some point. 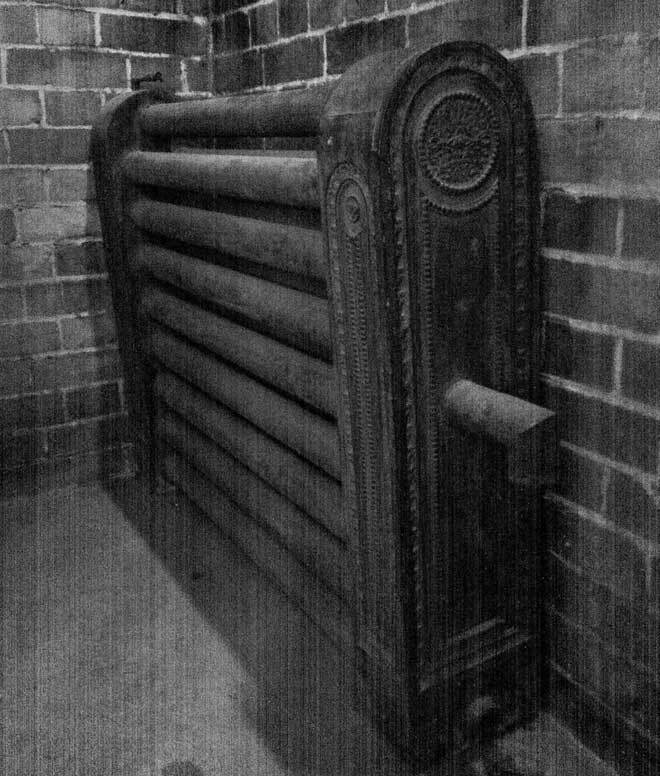 Invented in 1855, these radiators were traditionally made of cast or wrought iron and remain popular despite being less efficient than modern HVAC systems. The characteristic ping sounds they occasionally made were caused by condensed water droplets being flung by steam pressure. They were cheaper and more efficient that hot water heaters in early skyscrapers, and provided the first form of centralized heating in homes. Clothes Dryers – During inclement weather, laundry needed a more efficient way to dry than indoor lines. Although it was possible to dry cloths directly on the radiator, this limited the number of articles one could dry and could also burn some clothes. In response, rack attachments were created on which all of you washing could be dried at once. The rack could then be stored away when not in use. There is a modern variation of this idea in the form of towel warming racks. Some stores still carry radiator racks, although they have fallen largely out of favor since the invention of home dryers. Custom Designs – Due to the way radiators functioned, the iron could be forged into whatever shape the maker imagined. Expensive homes often featured ornate designs which reflected the era in which they were installed. Humidifiers – As a means to combat dry air in the winter, turn-of-the-century radiators had metal tanks on top which would be filled with water. As the radiator warmed the room, the tanks would become functional humidifiers. Steam Valves – Older steam radiators were powered by a boiler located in the basement. As there was no way to effectively regulate the temperature, every radiator was fitted with a steam valve to release extra pressure. The whistling could sometimes be quite loud if there was high pressure. Warming Racks – Kitchens were often located in the basement or had stone or brick walls. As such, it was difficult to prepare large meals without some dishes or pastries becoming cold. To combat this problem, kitchen radiators sometimes had built-in metal shelves on which prepared food would be placed to stay warmed. Home gardening was once a major source of food for rural households. As vegetables could only be grown during certain times of the year, it was necessary to preserve some for winter use. Small rooms or sections of the basement were thus set aside to serve as personal canneries. Fresh fruit, jams, preserves, and vegetables would be packed and sealed into mason jars, then stored on the area’s shelves. Homes in less populated areas, such as the Midwest prairies, went an extra step, building secondary basements nearby. 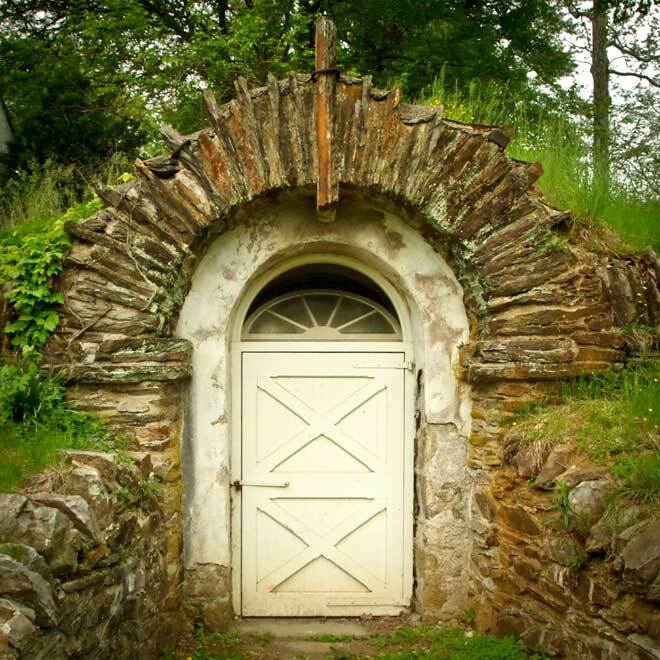 These root cellars were a place to not only preserve food, but also dry herbs and seeds. In dangerous storm weather, they often doubled as an emergency shelter. Now that supermarkets supply fresh food shipped from across the globe, root cellars and home canneries are no longer in demand and are often repurposed. Depending on the size of the home, you may encounter the remnants of servant bells. Small bell pulls were located in each room, sometimes behind closed panels. Each rope extends to its own small bell in the servants’ area in the basement. A maid or butler could look at the labeled panel and see which room they need to attend. Some of these, especially in Victorian-style homes, also included a speaking tube. With the advent of electricity, many homes began to incorporate a small button in the dining room floor which led to a buzzer in the basement. The head of the house would simply press it with their foot to get the attention of whoever was manning the basement kitchen. 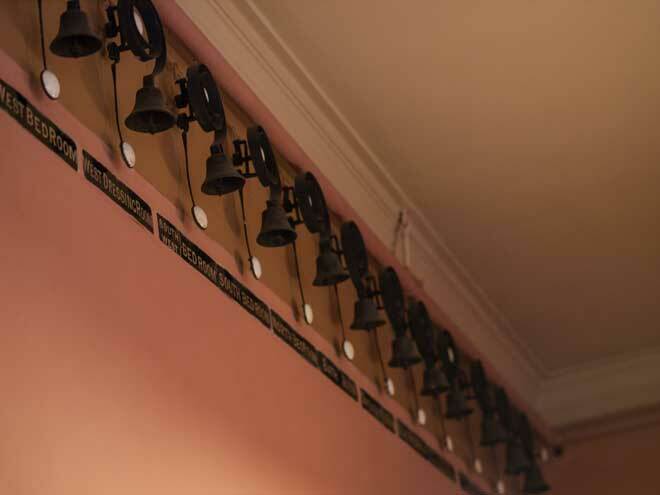 Now that we have electric intercoms and most kitchens around the dining room, both forms of servant bell have become obsolete and have often been disconnected in older houses. At the turn of the 20th Century, doctors began recommending their clients build sleeping porches. Already a common feature in many homes of the South, the sleeping porch was an open-air bedroom. Despite fresh air being the main attraction, these soon fell out of popularity and are now considered a novelty. Home intercoms are hardly a new thing, and speaking tubes were a fixture in homes long before the advent of electricity. These primitive intercoms consisted of a tube which ran through the wall. On either end was a mouthpiece and cap, usually made of nickel. You would move the cover with your thumb and blow into the tube, causing it to whistle on the other end. The mouthpiece could be used for both speaking and listening. Some variations included flexible tubing or had an end above the mailbox to allow deliverymen or visitors to announce themselves. While speaking tubes were replaced by electronic intercoms long ago, the novelty has made them a popular restoration project in recent years. 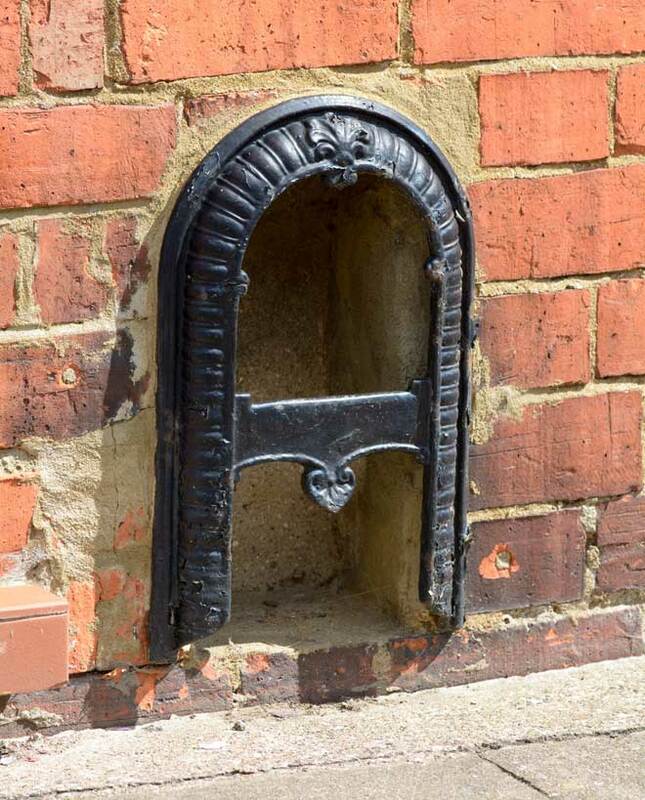 This seemingly decorative feature of older homes was actually quite practical. 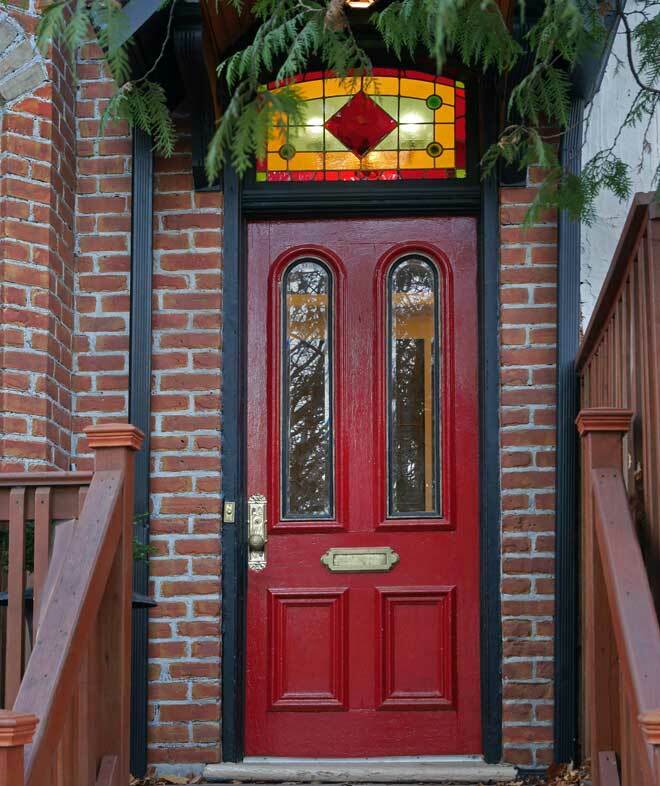 A transom is the window above your front door, usually made of stained glass, which had two main functions. First, it allowed natural light to filter into the foyer. Second, it provided air circulation year-round. Many older apartment buildings, schools, office buildings used plain transom windows on doors leading into the main hallways which could be propped open to provide airflow and aid in temperature regulation. While no longer common in architectural design, this feature continues to have practical and aesthetic appeal and is worth considering in home remodeling projects.